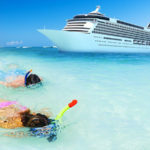 While cruises can be a great affordable travel option, indulging in everything they have to offer can run up quite a tab. When you’re on vacation, the last thing you want to be thinking about is your bank account. These saving & spending tips will help you plan ahead to make the most of your vacation. Although cruise lines offer packages for both drinks and restaurants, there are almost always free options on board. The buffet is always the popular selection for free food, but many first-time cruisers don’t realize there are other choices. When you eat in the main dining room, guests order with a waiter. There’s a menu that changes daily with a few staples that are always available. Even in the dining room, you can still order as many entrees, appetizers or desserts as you please for no additional cost. Plus, the food is usually better quality than the buffet. Room service is also available free of cost. You can opt for a relaxing evening in or start your day with breakfast delivered straight to your cabin. This is particularly convenient if you’re going on an excursion early in the morning and need to grab a quick snack before heading out. With all these free food options, there’s no need to splurge on dining unless you’re a foodie dying to try a dish from one of the specialty restaurants on board. Beverages are a different story, though. While food is mostly free on board, drinks are generally an extra charge. Cruise lines offer a selection of all-inclusive packages that guests can purchase in advance. Some are just for soda and others include cocktails. Depending on your consumption, these packages can either save you money or be a total waste. You may want to invest in a drink package if you plan to indulge on your cruise. On the other hand, if you’re only going to enjoy the occasional soda or cocktail, you’ll be better off skipping the package and buying a la carte. Many ships also allow you to bring aboard soda, water, wine or champagne as long as it’s unopened. There may be a cork fee for the alcohol, but it’s usually significantly less than buying a bottle onboard. If you’re still not sure whether buying a drink package is right for you, our post on Alcoholic Beverage Packages- Are They Worth It? may be able to help clear things up. 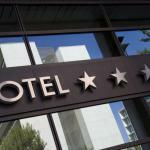 Cruise rates can often fluctuate based on cabin size, location and room type. Options usually consist of either a small inside (no windows) or outside (window/porthole view) room, a cabin with a balcony, or a suite which is just a larger stateroom with separate living and sleeping areas. The prices you see on advertisements are often for a small inside room without any windows. If you’re one to hop off the boat at every port or spend a lot of time exploring the ship, then you might want to settle on the smaller room. Besides, you’ll mostly use your cabin just to get dressed and sleep anyways. The extra budget you’ll have to spend on excursions will be well worth the cramped quarters. On the other hand, if you plan to take advantage of in-room dining, typically get seasick or have kids who take frequent naps, you’ll want to spring for a larger cabin with a window or even a balcony. You’ll definitely utilize the extra space and appreciate the fantastic view you get from a balcony room or suite. Half the fun of taking a cruise is exploring new port stops. Excursions are one of the best ways to do this, but you’ll need to plan ahead if you want to stick to your budget. You basically have three choices when you hop off the ship in port. You can book a cruise-sponsored excursion, reserve a tour in advance through a local provider or grab a map and wander around on your own. Each one of these options has their own advantages and disadvantages. If you book a cruise-sponsored excursion, you can skip the hassle of arranging you own onshore activities and rest easy knowing that the tour provider is reputable. Plus, your cruise won’t leave without you in the event that your excursion is late returning to the ship. These benefits seem great, but you’ll often pay more just for the convenience of letting the cruise line arrange your day. If you reserve a tour in advance through a local provider, you can save money by eliminating the middleman. You’ll also be able to customize your trip. However, you do run the risk of getting stranded in port if you’re late returning to the pier. And last but not least, there’s the option of wandering around on your own. This, of course, is free, but you’ll also want to factor in the cost of transportation, food or any attractions you plan on visiting in the area. So what’s our advice for a wonderful day ashore? You’ll want to mix and match cruise-sponsored recreation with do-it-yourself days depending on the port. Cruise excursions cover all levels of activity and vary greatly depending on the destination. If you’re looking to venture far from the port or participate in any physical activities, it might make sense to spring for a cruise-sponsored tour. It’s also a wise decision to stick with the cruise line in any foreign port where the language or customs might be a barrier. You can think of the extra cost as travel insurance. If you decide to save by booking your own guides, make sure you are back to the port with plenty of time to spare. The cruise ships will not wait for any passengers running behind schedule that are not on ship-sponsored excursions. And lastly, if you just want to explore a new town, check out some shops or hit the beach, you may be better off on your own. Sightseeing cruise tours can often translate into time-consuming bus rides with drop-offs at shopping centers harboring souvenirs you “just can’t live without”. It would be much less expensive to escape the tourist trap and venture off on your own. Before you travel, just be sure to research your ports and all the activities available. That way, you’ll be able to make informed decisions on whether to invest in a cruise-sponsored excursion, book an independent tour or explore on your own. 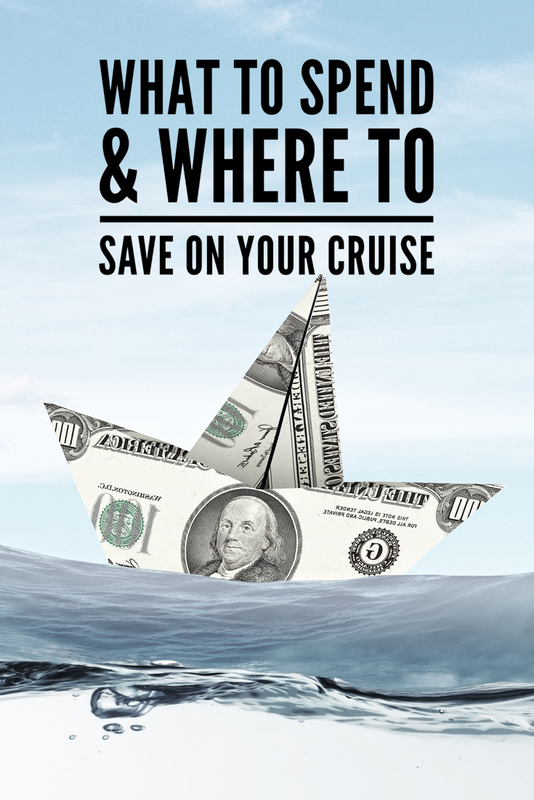 Apart from your actual cruise, you also need to consider the cost of travel arrangements. Are you driving or flying in? If you’re driving, where will you park your car? If you’re flying in, how are you getting to the cruise terminal? Are you spending the night near the port? These are all questions you should be asking yourself prior to your sail date. 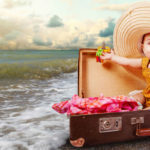 Even if you’ve addressed some of these already, let’s go through the options and see what you can save and where you might want to spend a little more to enhance your vacation. First off, whether you’re driving or flying in, you’ll definitely want to book a hotel room the night before your embarkation date. You might be under the impression that this is an extra unnecessary cost, but think again. You don’t want to run the risk of missing your non-refundable vacation because of a common flight delay or getting caught in unpredictable traffic. 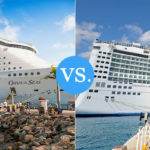 Plus, the cost comparison between booking a Go Port Canaveral hotel package including everything you need and putting together your own travel arrangements may be surprising. If you’re flying in and didn’t consider transportation in advance, odds are you’ll make the mistake of taking a taxi from the airport to the cruise terminal. A cab fare directly from Orlando International Airpot to Port Canaveral can run you upwards of $134 one-way. You’re going to need to get back to the airport at some point for your flight home, so make it double. Skipping the set up of transportation to the cruise terminal can cost you a pretty penny, up to $268 round trip. If you plan ahead and book with Go Port Canaveral, you can set up a Fly Snooze Cruise package including your hotel stay, airport and cruise transportation starting at just $96. That’s less than the one-way cab ride! Driving in is a similar story. For convenience, you’re probably planning to park at the cruise terminal. This can cost you anywhere between $64 – $280 depending on the length of your cruise and the size of your vehicle. You can book a Snooze Park Cruise package including a hotel room with parking and cruise transfers for as little as $79. If you’re going on a 5-day cruise, that’s nearly the same as just paying the $80 for parking at the port! It would only make sense to stretch your dollar and pick the package that includes a hotel room for nearly the same price. Plus, you can rest easy knowing that you won’t miss your cruise the next day. Even if you insist on skipping the hotel stay (don’t say we didn’t warn you) and decide to drive straight to your cruise, you can still save by booking through Go Port Canaveral. As mentioned earlier, taxi fares and cruise terminal parking fees can be steep. So how can we save you some serious cash? Cruise transfers. They’re a lot more economical than catching a cab from the airport or paying for parking by the day at the terminal. If you’re flying in, you can book transportation from the Orlando International Airport to the port for about $29 per person through Go Port Canaveral. If you’re a party of two, that $58 round trip transportation cost is significantly less expensive than the $268 cab ride. If you’re driving in, parking at the port will cost you about $160 for a 10-day cruise. You can set up a round-trip cruise transfer through us for a one-time fee of $10 per person (2 person minimum), costing you only $20 for that same 10-day cruise. You simply park your car for free in our nearby lot and a shuttle will pick you up and take you to the proper terminal. When you return from your vacation, another shuttle will bring you back to your car. And viola, we just saved you $140! You’re welcome. With all that money we just saved you on transportation, now is a good time to invest in that hotel room we mentioned earlier. Booking a night near the port is highly recommended to ensure you don’t miss your cruise. Trust us, save yourself the stress of trying to catch the boat and arrive at least a day before embarkation. You can spend the extra time sight-seeing, exploring the area or just relaxing. With the Orlando theme parks, Cocoa Beach and other attractions just minutes away from the port, you can even extend your vacation and enjoy all the activities Central Florida has to offer. Skip specialty dining. Take advantage of the free food options such as the buffet, main dining room, and room service. Settle on a smaller room if you’re going to spend most of your time exploring the ship or participating in port excursions. If you just want to wander around a new town, check out some shops or hit the beach, skip the cruise tour and grab a map. 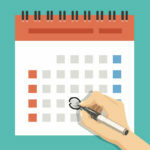 You can also book tours locally to save on expenses, but be sure to return to the cruise on time. Avoid the high taxi fares and cruise terminal parking fees. Book your hotel stay & transportation through Go Port Canaveral for one low price. Buy a drink package if you plan to indulge on your cruise more often than not. Spring for a larger cabin if you need extra space to accommodate kids or just enjoy relaxing with a killer view. If you’re looking to venture far from the pier or participate in physical activities, spring for the cruise-sponsored excursion. You can think of the extra cost as travel insurance. Tack on a few extra vacation days to explore Central Florida. You can visit the theme parks, relax on the beach or enjoy other attractions in the area. 1 Comment on "What to Spend & Where to Save on Your Cruise"
Im wondering do you offer cruises to Western Europe out of Barcelona in May 2019?